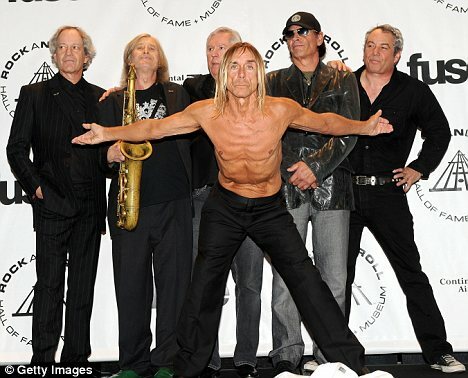 Iggy Pop and the Stooges celebrate their induction to the Rock and Roll Hall of Fame. Last night, at 8:30 sharp, a ceremony took place which inducted some of the biggest names in music into its highly esteemed ranks. That’s right folks, I’m talking about the Rock and Roll Hall of Fame 2010 inductees ceremony. The ceremony kicked off with Phish playing a cover of ‘Watcher of the Skies’ by Genesis, and then lead singer Trey Anastasio bestowed the honor upon the musical group. Various covers were performed by other bands as well, including Maroon 5, Rob Thomas, Chris Isaak, and Faith Hill. On the whole, everyone seemed a little nervous onstage last night as songs were played, groups were introduced, and speeches were made. However, the positive vibe and good cheer was certainly in the air as new and old musicians alike paid their tributes to the inductees. If you would like more information about the Rock and Roll Hall of Fame, there is much to see and do on their website. Just click the link. Johnny Depp fans, get ready. It seems he’s got some big plans in the works. This time, instead of seeing him on the camera, he’ll be behind it, directing. 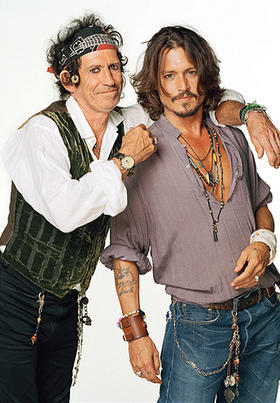 Back when Depp was working on Pirates of the Caribbean: At World’s End, he seemed to have gotten along quite well with co-star and famous Rolling Stones rocker Keith Richards. Ever since then, the two have been working on a special project, in which Depp will direct a documentary about Keith Richards’ life. 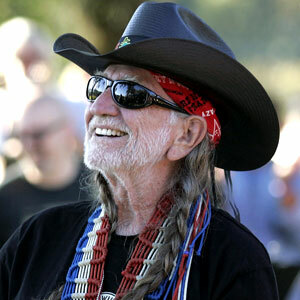 Richards is known for some crazy antics, both onstage and off. He’s usually drunk, stumbling around, and mumbling to whomever will listen. However, he has made quite a name for himself with the Rolling Stones, one of the most important bands in rock and roll, and definitely deserves to have a documentary made about his life. The Guardian reported that the movie will be called Happy. But this won’t be the first time Depp has directed. Back in 1997, he worked on The Brave, which was not well received by fans. I have high hopes for this one, especially because Depp has some inspiration invested in it. Oh, Steven Tyler, why can’t you stay in one piece for us? Feel better, Steven. Photo from redtagcrazy.com. Apparently, the lead singer of Aerosmith fell off the stage during a current performance at the Sturgis Motorcyle Rally show in South Dakota. After much blood and pain conveyed by the rock and roll heavyweight, he had to be airlifted to a hospital. Many fans at the concert thought the whole thing was an act. Surely, Tyler couldn’t have fallen off a catwalk for real! It took but a few moments for everyone to realize what had just happened. Lead guitarist Joe Perry issued a statement a few days later, saying that the band wasn’t sure whether or not the tour would continue because of Tyler’s injuries. And wouldn’t you believe it? I was actually able to find a video of the whole thing. Check out “Steven Tyler Falls Onstage” at MTV.com. Ah, the beauty of the internet. In the meantime, let’s all say a quick word of encouragement and healing for Tyler. Lead singers need love, too.